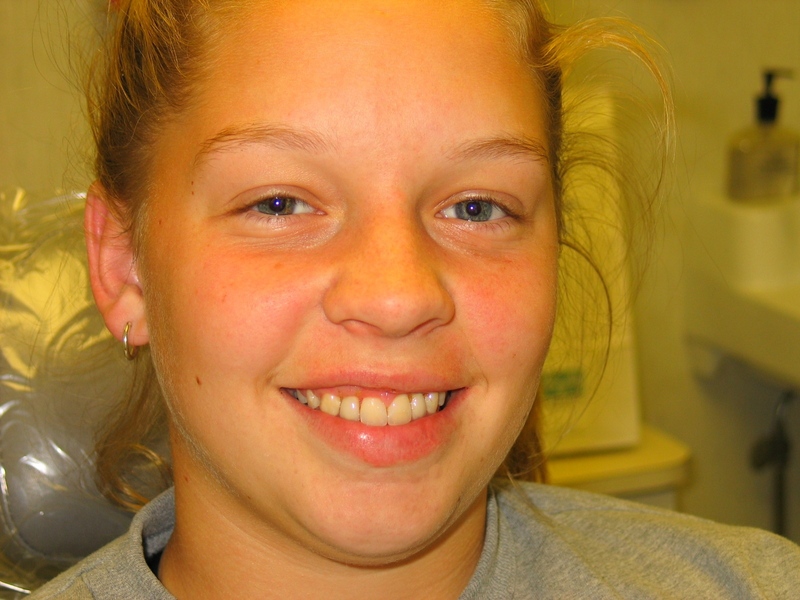 right before she left for college. 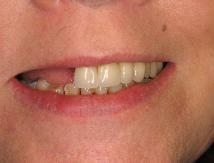 her restoration and give her a really attractive smile. 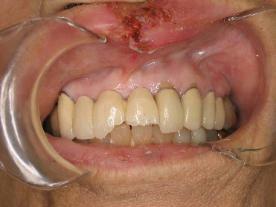 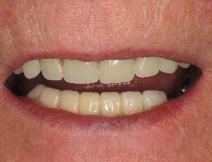 using a removable partial denture to replace them. 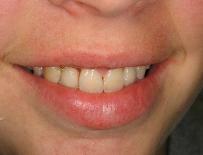 a beautiful natural smile, and can eat again comfortably. and a porcelain bridge. 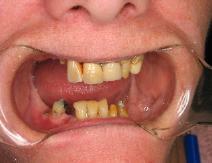 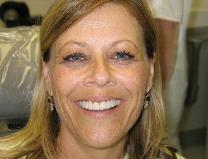 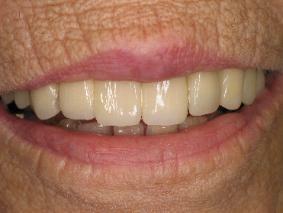 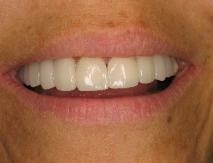 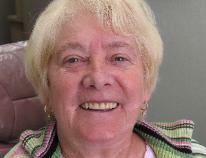 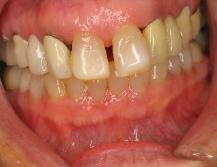 Her lower back teeth will be replaced with either implants or a partial denture. 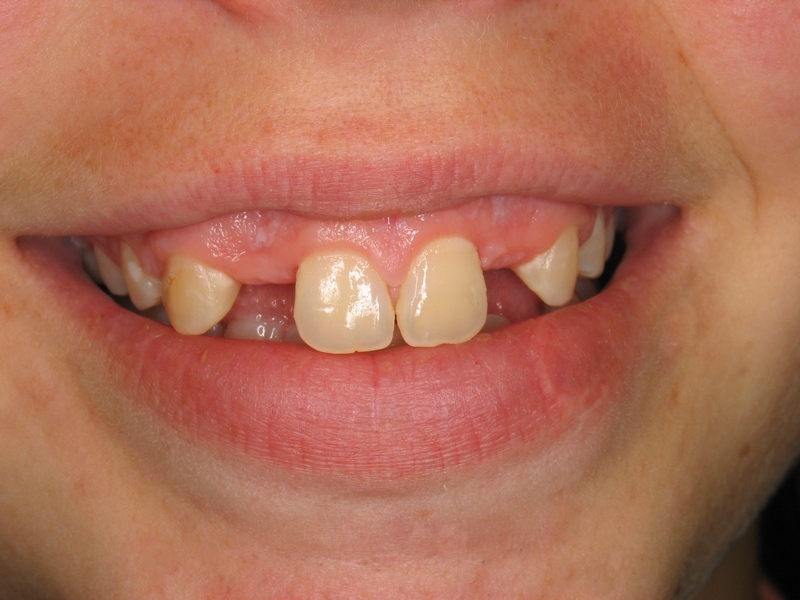 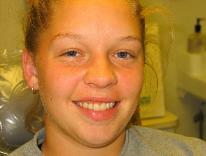 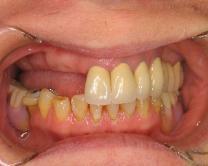 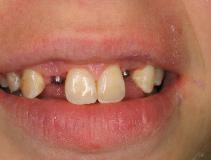 This patient fell breaking her front two teeth off a bridge consisting of ten teeth joined together. 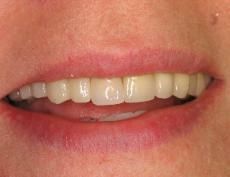 able to fabricate new crowns that fit over her broken teeth and save her old bridge.